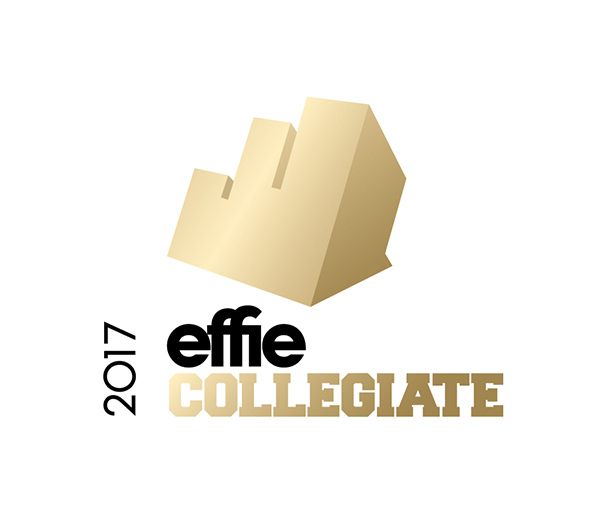 New York (February 10, 2017) - The North American Effie Awards is eager to announce its Call for Entries for the eighth annual Collegiate Effie competition. Collegiate Effie has teamed up with two Effie-winning companies to introduce the 2017 brand challenges: IBM® and Campbell Soup Company, for Pace. Students must develop a non-traditional integrated marketing campaign, focusing on IBM Watson®, to help make a younger generation of consumers aware of the IBM brand and Watson's cognitive capabilities. The IBM Brand Challenge tasks entrants to create a strategy that will help young people discover surprising ways to incorporate cognitive computing technologies into their daily lives. This is IBM’s first Collegiate Effie challenge. Qualifying entries will be judged by industry professionals across various disciplines, including creative, strategic planning, media strategy, branding, marketing, and social media. Selected finalists for each challenge will have the opportunity to present their work to senior members of the IBM® and Pace brand teams. Effie Worldwide is a 501 (c)(3) nonprofit organization devoted to championing and improving the practice and practitioners of marketing effectiveness. Effie Worldwide, organizer of the Effie Awards, spotlights marketing ideas that work and encourages thoughtful dialogue around the drivers of marketing effectiveness, while serving as an educational resource for the industry. The Effie network works with some of the top research and media organizations worldwide to bring its audience relevant insights into effective marketing strategy. The Effie Awards are known by advertisers and agencies globally as the preeminent effectiveness award in the industry, and recognize any and all forms of marketing communication that contribute to a brand's success. Since 1968, winning an Effie Award has become a global symbol of achievement. Today, Effie celebrates effectiveness worldwide with over 40 global, regional and national programs across Asia-Pacific, Europe, Latin America, Middle East/North Africa and North America. All Effie Awards finalists and winners are included in the annual Effie Effectiveness Index rankings. The Effie Index identifies and ranks the marketing communications industry’s most effective agencies, marketers, and brands by analyzing finalist and winner data from all Effie Awards competitions worldwide. For more details, visit www.effie.org and follow the Effies on Twitter, Facebook and LinkedIn.